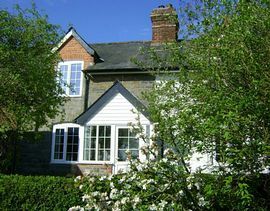 Set in the beautiful Vale of Montgomery sits Holly Cottage; a pre-Victorian self catering holiday cottage. Its tranquil rural setting makes it the perfect place in which to relax and an ideal base from which to explore the many attractions of Mid Wales including Powis Castle National Trust at Welshpool. Less than a mile away is Kerry village, which has a pub restaurant and it is a 5 minute drive from Newtown or Abermule, while Montgomery is just 6 miles away. 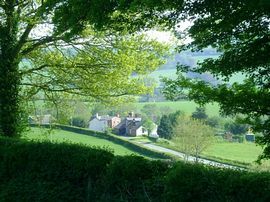 On the border of Powys and Shropshire, Holly Cottage offers a comfortable rural retreat away from the rush and bustle of modern life. 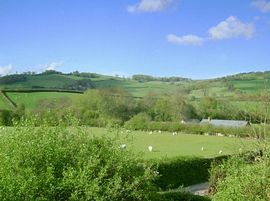 Holly Cottage is close to great walks at the Kerry Ridgeway, Offas Dyke and Glyndwrs Way. Montgomery with its castle ruins and the medieval Powis Castle are close by and there are steam railways and canals to explore. There is a lot to see and do in this beautiful area of The Marches including walking, cycling, golf, horse riding, castles to explore and pretty villages and towns. 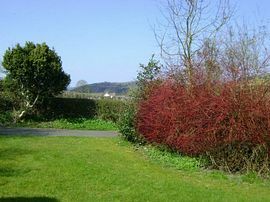 Its an ideal base with easy driving to Welshpool. Slightly further away lie the beautiful Brecon Beacons, the breathtaking Snowdonia and the beaches of Cardigan Bay. The Forest Cottages is a family run self catering holiday business, and also the home of Paul and Michelle Martin and their two young children. Guests at Holly Cottage are welcome to use all the facilities at The Forest, where there is a play area for younger children, a games room and a tennis court for everyone's enjoyment. Dogs welcome in the cottage. 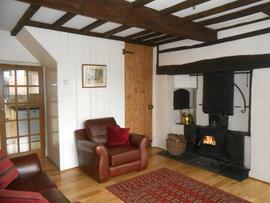 Original features, exposed beams, wood burning stove. Directions from Welshpool: Take the A483 towards Newtown but turn left into Abermule and follow the B4368 to Hodley. At the small group of houses on the left past the red phone box, by the yellow grit bin, take the left lane. Holly cottage is Number 6 Upper Hodley, the 4th cottage at the end of the small terrace of 8 cottages. Directions from Ludlow: Take the A49 to Craven Arms and then the A489 towards Newtown, drive through Glanmule village and then turn right sign posted Abermule onto B4368, then follow instructions above. Weekly rates from: £225 to £465, short breaks from: £145. Open all year, change over normally Friday but other days possible. Please see website for guest comments and reviews.